Dental care for your cat can be a good experience, especially when it is started when they are young. The best time to begin dental care is when the kitten is between three and six months old. It is important to begin dental care at this early age because 85% of cats over three, have some form of periodontal disease. 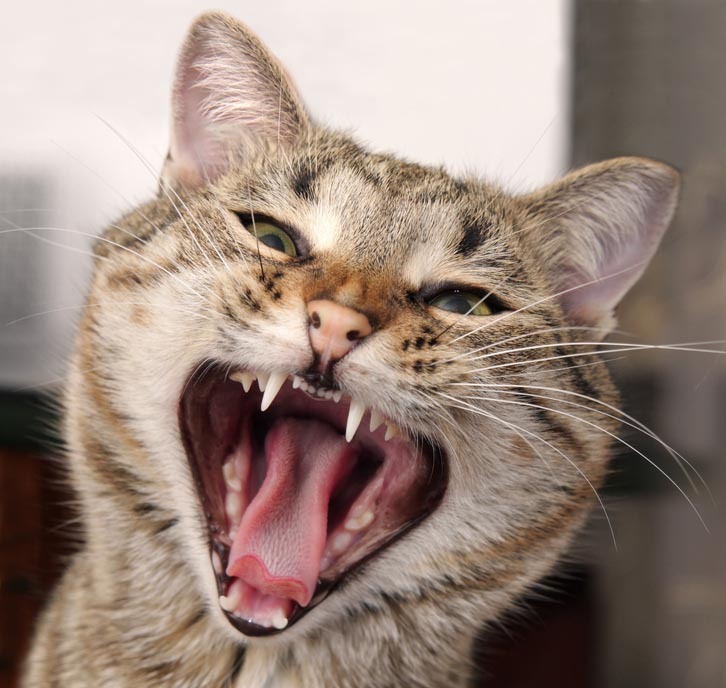 According To Dr. Fitzgerald, regular teeth brushing helps keep cats’ teeth and gums healthy. A finger brush adapted to your cat’s mouth and/or a toothbrush are very effective when used regularly. (Get them at your vet’s office). Cats are especially fond of enzyme and poultry flavored toothpaste (with fluoride). This can help establish a daily ritual that will create a bond between you and your cat, and will maintain fantastic oral hygiene. It is important to have a regular 6 month checkup of your cat’s mouth to ensure that no problem is developing which can affect your cat’s general health and/or may be causing some changes in behavior.